It’s dorm room shopping season! The most exciting part of shopping for dorm supplies are the new bed sets, outfitting your closet with college gear and meeting your new roomies. However, dorms can be a haven for pests because there is always plenty of food, shelter and water for them. Remember these seven tips when moving day arrives! Store food in sealed containers to protect it from pests. Rodents, roaches and other pests can easily detect food. 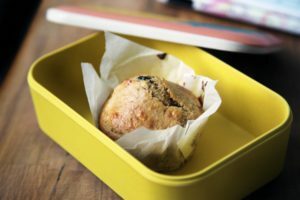 To keep your food safe and to make your dorm as uninviting to pests as possible, keep your food sealed in heavy duty plastic containers. Mice and other rodents can sometimes chew through the inexpensive food containers, so you might want to invest in a more heavy duty plastic. 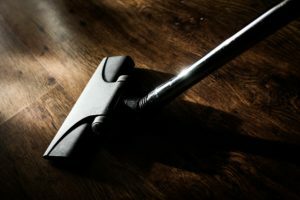 Vacuum and dust regularly to keep a tidy, dust-free room. Vacuuming and dusting on a regular basis cuts down on pests by making the space unappealing to bugs and other pests. Dusting and vacuuming will eliminate insect webbing, remove insect eggs or larvae too small to see and definitely food crumbs that pests like to eat. Inspect window screens for tears and holes and ask for a replacement if necessary. 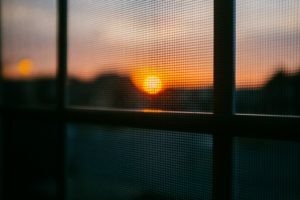 Window screens offer protection against pests, but their protection is minimized when there are holes and tears in the screens. Lots of pests get into buildings through this entryway. If you think your window screen needs replacing, notify your resident assistant (RA) or your maintenance faculty! Keep clutter to a minimum to remove harborage points. Water, food and shelter are things every creature needs to survive. Pests like cockroaches thrive in places where there are a lot of harborage points. 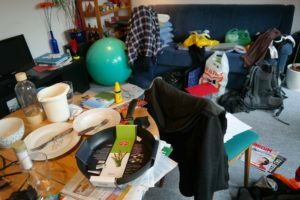 Leaving clothes, papers, books or shoes littering the floor in your dorm provides plenty of shelter for pests like cockroaches or mice. So keep your room tidy! Wash, dry and put away dishes to keep pests out. 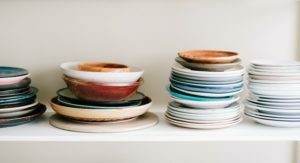 Dirty dishes can provide sustenance for potential invaders, and dishes that are left wet can provide water for them, too! Wash your dishes right after you dirty them. Don’t wait a week before you decide to wash a dish. Your dorm and your roommate will thank you. 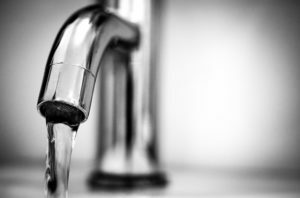 Keep tabs on leaky pipes and faucets. You may need to contact maintenance to fix the issue. Again, every creature needs food, water and shelter to survive. When we leave out cups of water or sugary drinks, we provide an opportunity a pest is sure to take advantage of. You should also take note of any leaky faucets or pipes and notify your RA or maintenance faculty. Keep trash sealed, and take it out regularly. While we know you already know this, sometimes, the trash can get away from us. The trash is prime location for pests. It can become its own ecosystem to support a myriad of pests! 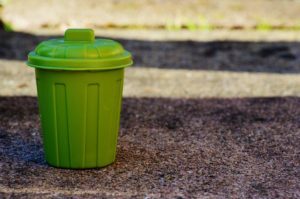 You should keep your trash in a sealed receptacle and take it out regularly to keep pests away and your room smelling clean. Note: When conditions are right, it won’t take long for these pests to become a big problem. If you see pests scurrying around your dorm, contact your RA or maintenance staff immediately! 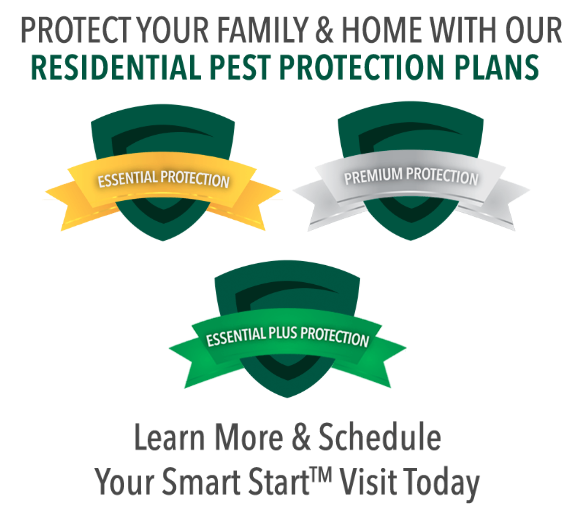 It is likely your institution has partnered with a professional pest management company that will take care of the problem.